How Many Carbohydrates Do I Need? How Many Carbohydrates Do I Need? 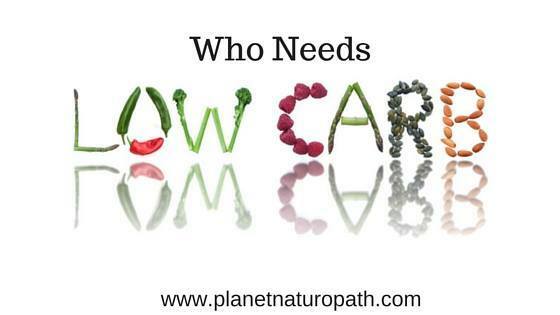 » How Many Carbohydrates Do I Need? Carbohydrate intake is a hotly debated topic these days, but there is so much conflicting information out there it is hard to know if reducing carbohydrates is good for us, or bad for us. The truth is that the amount of carbohydrates that we need is going to vary depending on a person’s activity levels, genetics, hormonal health, and metabolism. In this article, I am going to help you work out how many carbohydrates you need to consume each day, and for some people, this will vary from day to day, or week to week depending on what your goals are. The low carb diet movement is slowly gathering more support with people getting great results with weight loss, and more studies showing that a lower carbohydrate/ higher fat diet is better for a wide range of health conditions like diabetes, cancer, dementia and other neurological conditions. Low carb diets vary in how much carbohydrates you have each day from 20 to 100 grams, with a very low carb diet being less than 50 grams a day. On the opposite side are groups like the dietitian’s association and diabetes associations suggesting that a diet focussing on whole grain products like bread, pasta, cereals and rice is the healthiest option, and the carbohydrate recommendation is around 300 grams a day. On the dietitian’s Australia website they recommend 310 grams of carbohydrates a day for a healthy adult, this includes 30 grams of fiber and a whopping 90 grams of sugar a day. The standard American or Australian diet is commonly referred to as the SAD diet, an appropriate acronym as it often has “SAD” consequences for our health and contributes to many chronic illnesses like diabetes, dementia, cardiovascular disease and our growing waistlines. While the supermarket shelves are filled with “healthy” low fat options, many of these are high in refined carbohydrates and it is very easy to consume over 300 grams of carbohydrates a day, even if we think we are eating healthy. It is also very easy to drink excess amounts of carbohydrates. Popular drinks like flavored milk, juices, and soda are filled with refined sugars, the problem with these drinks is that they do not fill us up, so these extra sugars are often in addition to the foods we are eating. 600ml Iced Coffee contains 59.4 grams of carbohydrates, 57 grams of this is sugar …. that is the equivalent of putting 14 teaspoons of sugar into a drink. If you sat down and had a coffee with a friend, and you saw them put 14 grams of sugar into their coffee, you would think they were absolutely crazy and probably tell them how unhealthy that is, but we give these sugar laden flavoured milks to our kids as a “healthy” calcium rich drink. 600ml of Orange Juice contains 64 grams of carbs of which 58 grams is sugar, while this maybe natural sugar it is still sugar, once again a couple of glasses of OJ a day is considered healthy but with 14.5 teaspoons of sugar it is causing metabolic damage. 600ml of Coke contains 64 grams of carbs and all of this is sugar, drinks like coke have a deserved bad reputation when it comes to the sugar content, and everyone knows that they are not healthy, yet the sugar content of juices and flavoured milks is very similar. Let’s look at the different levels of carbohydrates and which group of people each one would suit. I think a moderate carbohydrate diet works the best for most healthy active people, for men this is going to be between 100 – 200 grams of carbs a day, and for women around the 75 – 150 grams of carbohydrates a day. This will vary depending on activity levels and the intensity of the activity, because everyone is so different it is a good idea to track your macronutrient intake for a few days and work out what is the best for you. A moderate carb diet is also good for people with adrenal or thyroid hormone issues, as a very low carbohydrate diet can add further stress to the hormones, this could lead to fatigue and mood issues. If you have hormone imbalances and you want to reduce your carbohydrates to lose weight a good idea is to keep carbohydrates low during the day and increase your carbohydrates at night …. this is the opposite of what many people do. A low carbohydrate diet is between 60 – 100 grams of carbohydrates for men and 50 – 80 grams of carbohydrates for women. 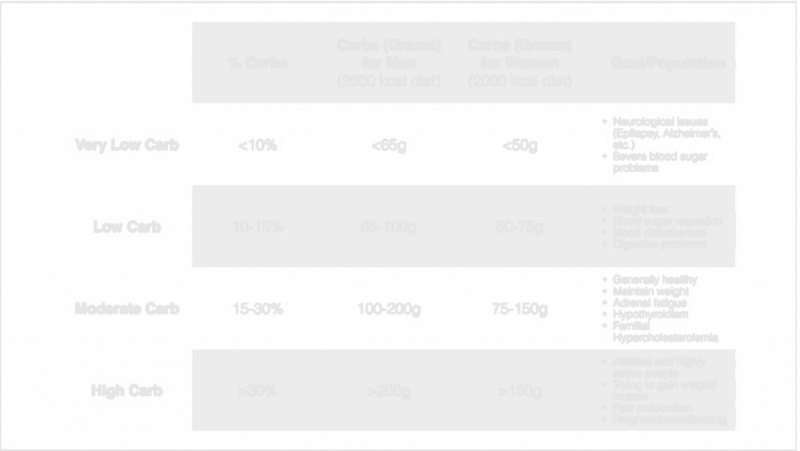 This is a good carbohydrate range for people wanting to lose weight, or who have metabolic issues like diabetes, pre-diabetes or leptin resistance. There are many studies showing that a low carbohydrate/ higher fat diet is the best for fat loss, including this recent study from the CSIRO in Australia. 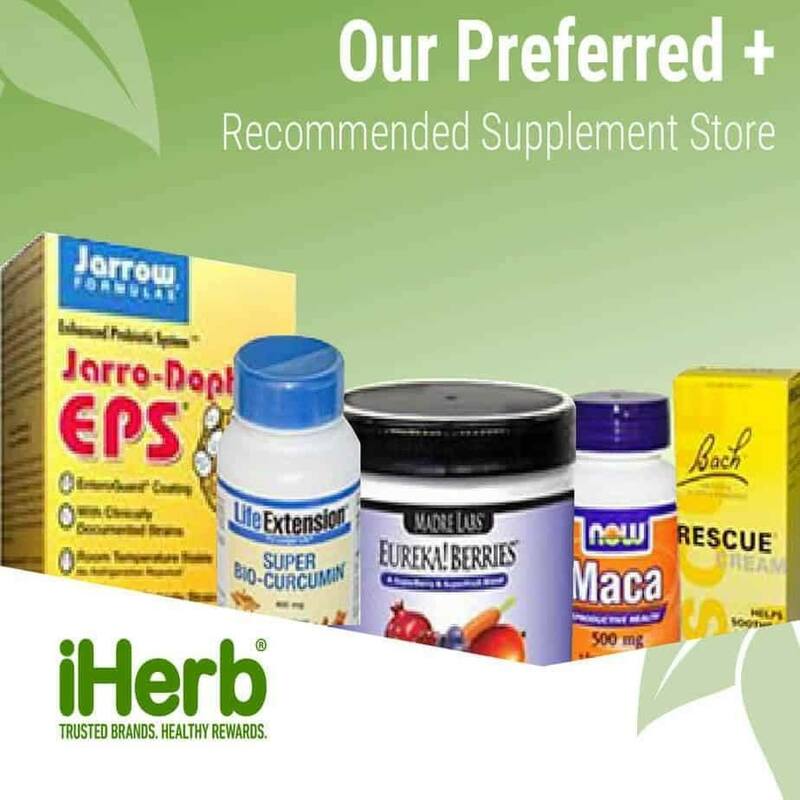 Despite the evidence that a lower carbohydrate diet is the best for weight loss there is still a lot of resistance to this way of eating from dietitian’s and other “health” groups like Diabetes Australia, probably because they receive so much funding from multinational food companies …. and they would have to admit their recommendations for the past 40 years have been wrong. Another group of people that would do well on a low carbohydrate diet are people with anxiety, mood swings and some types of depression. Anxiety and mood problems can be caused by fluctuations in blood sugar levels which a low carb/ high fat diet can help to control, leading to a more stable mood. If you have been doing low carb for a while and are feeling more depressed or anxious you may need to increase your carbohydrates, this could also be an indication that you have adrenal or thyroid issues and low carbohydrate diet is causing your body more stress. This is when testing for thyroid and adrenal function issues is important if you are planning on making big changes to your diet. A low carb diet can also be good for people with certain digestion problems like SIBO or candida overgrowth, as the bacteria and yeast can feed off the excess carbohydrates, especially from fruits and grains. A very low carbohydrate diet is also known as a ketogenic diet, this is when your carbohydrate content is less than 10% of calories which for men is between 20 – 60 grams of carbs a day, and for women between 20 – 50 grams of carbohydrates a day. You can track to see if your body is in ketosis using urine test strips or for more accuracy a blood ketone monitor. A ketogenic diet can be good for people who are very insulin resistant are struggling to lose weight, even on a low carbohydrate diet. The first week or two can be a struggle as your body switches from inefficiently burning carbohydrates for fuel to burning ketones for energy, but once you are in ketosis energy levels go up and hunger levels go way down. This reduced hunger is one of the biggest upsides to a ketogenic for people who previously always felt hungry. One of the biggest advantages of a ketogenic diet is for neurological issues like epilepsy, dementia, Alzheimers and Parkinson’s disease. In these conditions, the brain has stopped using glucose effectively but can thrive on the ketones produced by a very low carbohydrate diet. If you are not overweight you will not lose additional weight on a ketogenic diet as long as you consume enough healthy dietary fats from good quality fats like saturated fat, medium chain triglycerides, and monounsaturated fats. A ketogenic diet has been used since the 1920’s to treat epilepsy, it is very effective at treating most forms of epilepsy and only fell out of favor in the 1950”s when epilepsy drugs became popular, even though they are not as effective as the diet. There is a lot of new research into ketogenic diets showing that they are effective for treating cancer, neurological problems, metabolic issues, and even effective for endurance sports. I don’t recommend tracking your macronutrients all the time, but I do recommend occasionally tracking your macronutrients for a few days as many people have no idea how much protein, fats, and carbohydrates they are consuming. It can be surprising how much extra carbs you are getting in a day, especially if you are consuming sugar laden drinks or even alcohol on a regular basis. There are a number of free apps available that enable you to easily track your diet, the one that I use and recommend is called My Fitness Pal or Cronometer. Once you have tracked your diet for a few days you will have a better idea of where you are at, this will enable you to adjust your diet to get the right balance for you. It is important to look at carbohydrates, protein, and fat as sometimes people reduce their carbohydrate intake but if they do not increase their fat intake they will not be getting enough calories, and a low calorie diet can contribute to adrenal stress, fatigue and may affect long term weight loss goals. If you are just starting out on your health journey and new to adjusting your macronutrient intake to improve your health it is best to get some guidance from an experienced practitioner, this is probably not going to be your doctor who has had minimal nutrition training. This is not a one size fits all approach, and if you find that you do well on a low carbohydrate diet this does not mean that you will need to be on a low carb diet forever. 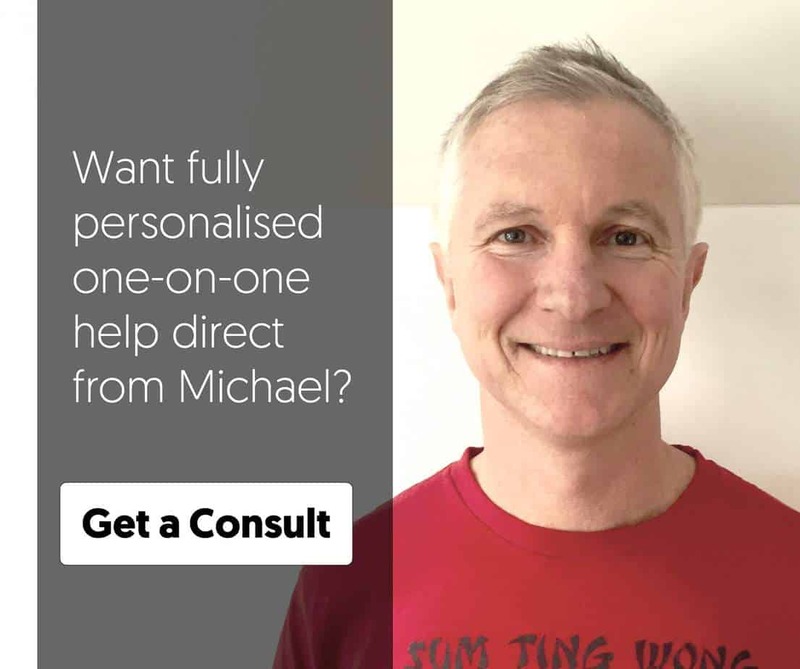 Michael is head consultant at Planet Naturopath - Functional Medicine and Nutrition Solutions. Best summary I’ve read on LCHF. Thanks – I’m sharing it ???? A balanced commonsense explanation free from the hype that often accompanies those pushing one particular dietetic barrow. As one who has been recently diagnosed with SIBO I agree with the suggestion of reducing carbs (fruit and grains especially) low. I don’t think your commentary about dietitians and some organizations is fair. You don’t need to undermine entire professions and health organizations to discuss general health recommendations. I think there is a lot more integrity, transparency, and evidence-based practice than you give others credit for. Thank you for your comment Henri but I don’t think you clearly read the article as I did not undermine dietitians (I have met a number of fantastic dietitians) but just stated their position on carbohydrates which can also be found on their website. The Australian dietitians association is sponsored by big food companies which they don’t clearly state, this is simply another fact and a lot of the latest scientific evidence does not support their recommendations for treating diabetes. What Causes Hormonal Imbalance in Women? Male Hormone Imbalance – How do you know if you’re out of balance! Low Testosterone and EMF’s …. is there a connection? Copyright 2018 by Planet Naturopath | All Rights Reserved.